In Canada, people are presumed innocent until they are proven guilty in Court.. Our whole system of criminal law works under this principle and it effects many different aspects of our criminal law system. You've heard the police say on TV, "You have the right to remain silent. Anything that you say may be used against yourself." It's true. If you are accused of a crime, you're not required to say anything to the police other than basic information required by the police to identify you. There are some exceptions to this general rule. For example, refusing to take a breathalyzer test is a specific criminal offence. There is a maxim that it is better that 10 guilty men go free than one innocent man be wrongly convicted. In court, the crown prosecutor will present evidence that you committed a specific criminal offence, and must prove its case "beyond a reasonable doubt". It's not enough to show that there's better than a 50/50 chance that you did it, or even a 60/40; the test is beyond a reasonable doubt. Your lawyer will challenge this evidence to contradict the crown's case. He or she doesn't need to prove that you didn't do it; he or she just needs to raise a "reasonable doubt" as to the crown's case. Like O.J. Simpson, you don't have to testify to prove your innocence; you can just attack the crown's case. You also have the right to "due process". That means that the police and the crown prosecutor must abide by your constitutional rights when they gather evidence and present your case to the court. If the police illegally invade your privacy or property in order to gather evidence against you, they may not be able to use in court against you. There are two types of criminal offences: summary conviction offences and indictable offences. Summary conviction offences are less serious, and generally have a maximum sentence of a $2000 fine and up to eighteen months in jail. These are usually dealt with in Provincial Court which is the lower level Court in British Columbia. Indictable offences are more serious, and can have penalties as high as life imprisonment. These offences may be heard in Supreme Court or Provincial Court, and may be heard by a judge and jury, or else a judge alone. 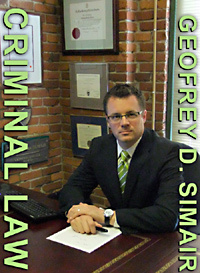 read his article on the difference between sentencing for drug trafficking in Washington State vs B.C.